Edward Maurice Charles Marsan (born 9 June 1968) is an English actor. He won the London Film Critics Circle Award and National Society of Film Critics Award for Best Supporting Actor for the film Happy-Go-Lucky in 2008. He has appeared in Gangster No. 1 (2000), Ultimate Force (2002), V for Vendetta (2005), Mission: Impossible III (2006), Sixty Six (2006), Hancock (2008), Sherlock Holmes (2009), War Horse (2011), Sherlock Holmes: A Game of Shadows (2011), The Best of Men (2012), and The World's End (2013). He also appeared in Showtime's TV series Ray Donovan (2013) as Terry, and as Mr Norrell in the BBC drama Jonathan Strange & Mr Norrell (2015). Marsan was born in Stepney, London, to a working-class family; his father was a lorry driver and his mother was a school dinner lady and teacher's assistant. He was brought up in Bethnal Green and attended Raine's Foundation School. He left school at 16 and initially served an apprenticeship as a printer, before beginning his career in theatre, and moving to television and film. He trained at the Mountview Academy of Theatre Arts, graduating in 1991, and went on to study under Sam Kogan and The Kogan Academy of Dramatic Arts, of which Marsan is a patron. Marsan's first television appearance was in 1992, as a "yob", in the London Weekend Television series The Piglet Files. One of his more significant early television appearances was in the popular mid-1990s BBC sitcom Game On as a bungling bank robber. Marsan went on to have roles in Casualty, The Bill, Grass, Kavanagh QC, Grange Hill, Silent Witness, Ultimate Force, Southcliffe, and more. He also voiced the Manticore in the Merlin episode Love in the Time of Dragons. In 2012 he played Dr Ludwig Guttmann in The Best of Men. He portrays Terry Donovan, brother to the lead character in Showtime's drama series Ray Donovan. In May 2015 Marsan appeared as the practical magician Gilbert Norrell, in the 7-part BBC TV period drama Jonathan Strange & Mr Norrell. Marsan has appeared in numerous and varied film roles, as the main villain in the 2008 superhero film Hancock alongside Will Smith and as Inspector Lestrade in Guy Ritchie's Sherlock Holmes. His other films include Sixty Six, Gangs of New York, 21 Grams, The Illusionist, V for Vendetta, Gangster No. 1, Miami Vice, Mission: Impossible III, I Want Candy, Vera Drake, Happy-Go-Lucky, Tyrannosaur, and Heartless. Marsan won the National Society of Film Critics Award for Best Supporting Actor, and the London Film Critics Circle Award for Best Supporting Actor for his performance in Happy-Go-Lucky. Marsan also won the latter for his performance in Vera Drake. For his performance in Happy-Go-Lucky, Marsan also earned other nominations, such as the Detroit Film Critics Society Award for Best Supporting Actor, New York Film Critics Circle Award for Best Supporting Actor, and the Women Film Journalists Awards for Best Supporting Actor. In 2014, Marsan earned the Best British Actor award at the 2014 Edinburgh International film festival and the Best Actor award at the VOICES film festival in Vologda, Russia, for his performance in Still Life. 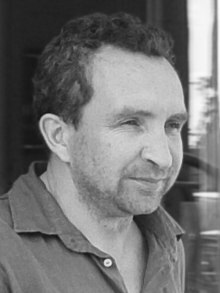 ^ "Eddie Marsan". The New York Times. Archived from the original on 14 April 2015. Retrieved 31 March 2016. ^ Simon, Alex (8 December 2008). "Eddie Marsan Keeps It Real". The Hollywood Interview.com. Retrieved 29 April 2018. ^ a b Taylor, Ella (7 January 2009). "Happy-Go-Lucky: Driver's Eddie". LA Weekly. Retrieved 29 April 2018. ^ "December Reunion" (PDF). Old Raineians Newsletter: 3. April 1994. Retrieved 16 May 2015. ^ Kogan, Sam (2010). Kogan, Helen (ed.). The Science of Acting. UK, USA and Canada: Routledge. Back cover. ISBN 978-0-415-48812-9. ^ "Patrons". Kogan Academy of Dramatic Arts. Retrieved 29 April 2018. ^ Prospectus. The Academy of the Science of Acting and Directing. 2007. p. 4. ^ Miska, Brad (3 February 2010). "Trailer for Lionsgate UK's Mass Release 'Heartless'". Bloody-Disgusting. Retrieved 29 April 2018. ^ Anderson, John (4 August 2010). "A Go-to Actor for 'That Guy' Roles". The New York Times. Retrieved 29 April 2018. ^ Hewitt, Chris (28 September 2012). "Martin Freeman joins 'The World's End' along with Eddie Marsan". Empire. Retrieved 26 May 2013. ^ D'Alessandro, Anthony (4 October 2018). "Eddie Marsan Along For The Ride In 'Fast & Furious' Spin-off 'Hobbs And Shaw'". Deadline Hollywood. Retrieved 19 January 2019. ^ Abraham, Jugu (19 December 2013). "156. Italian filmmaker Uberto Pasolini's English film "Still Life" (2013) (UK/Italy): Quietly amazing and powerful cinema". Movies Sans Frontiers. Retrieved 29 April 2018.